Elites Yard Master Series of outdoor projection screens is ideal for picnics, barbecues or virtually any other outdoor projector presentation imaginable. 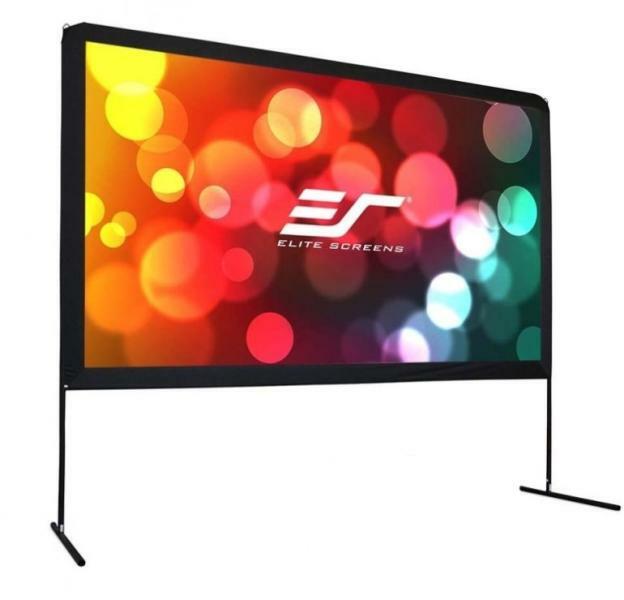 It is an affordable solution to having a professionally formatted outdoor projection screen that sets up and takes down quickly. Its durable Dynawhite projection material is made for the rigors of outdoor use while maintaining color clarity with a wide viewing angle. The Yardmasters easily assembled framework ensures many years of good use and is designed to be the ultimate low-cost solution to a larger than life picture.